Inkd Stationery templates are the perfect start-up package of essential brand collateral. Each contains fully editable design templates for a matching set of business card, letterhead, and envelope designs - all you need to create personalized stationery! Each set of stationary contains both US and European standard sizes, in Adobe Illustrator, Microsoft Word (for PC or MAC) and Apple iWork Pages file-types. This Stationery Kit is designed around a COLOURlovers color palette titled Sublime Rock N Roll. 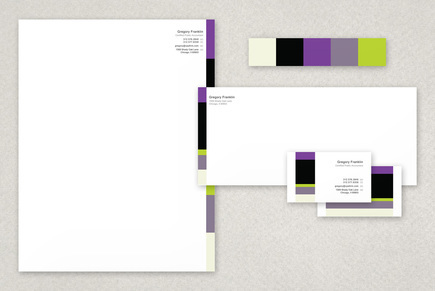 This color scheme and layout offers a business look and feel for any identity.